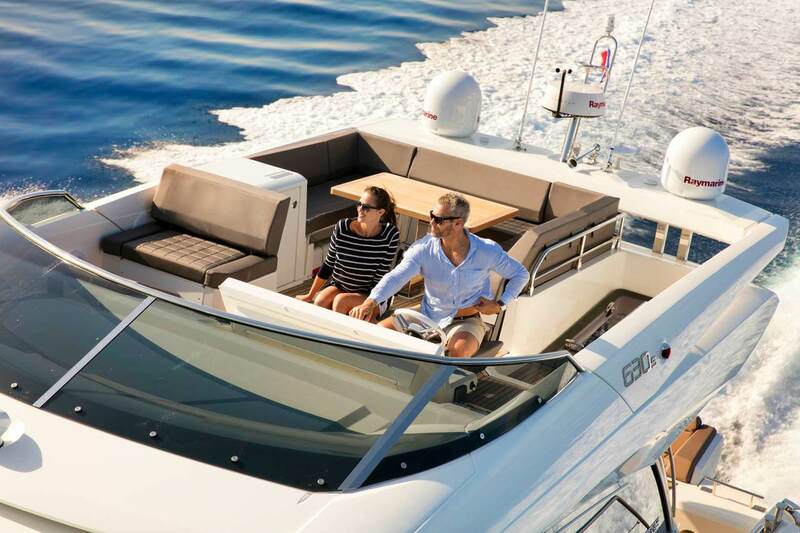 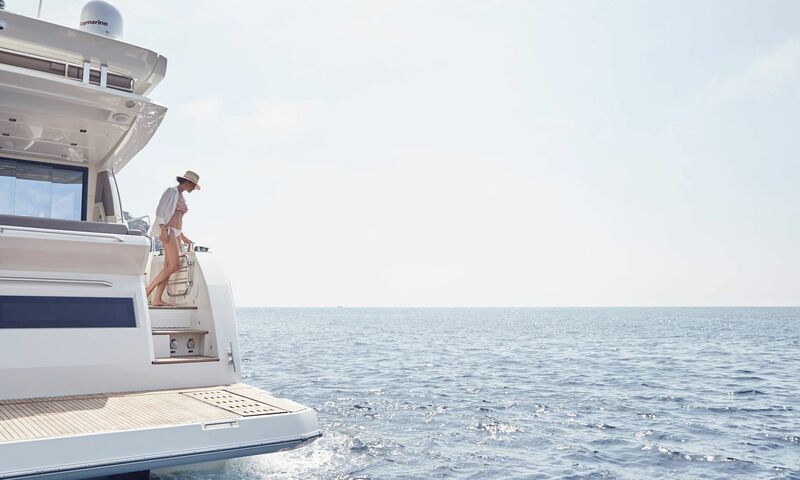 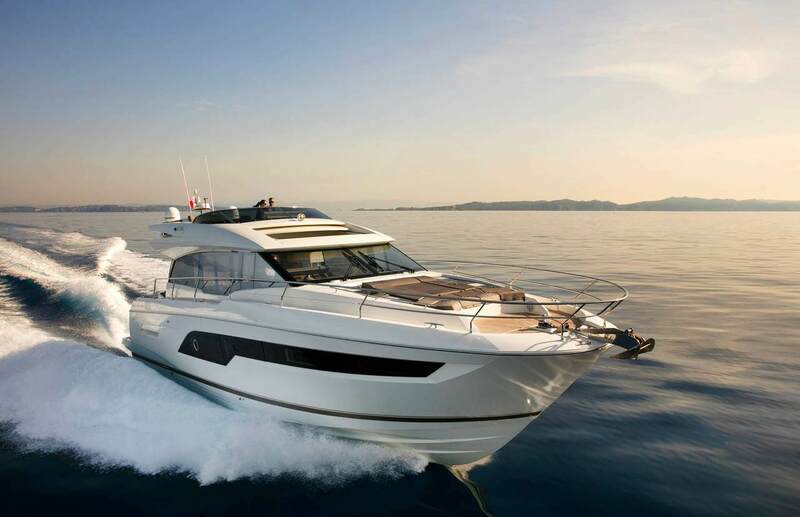 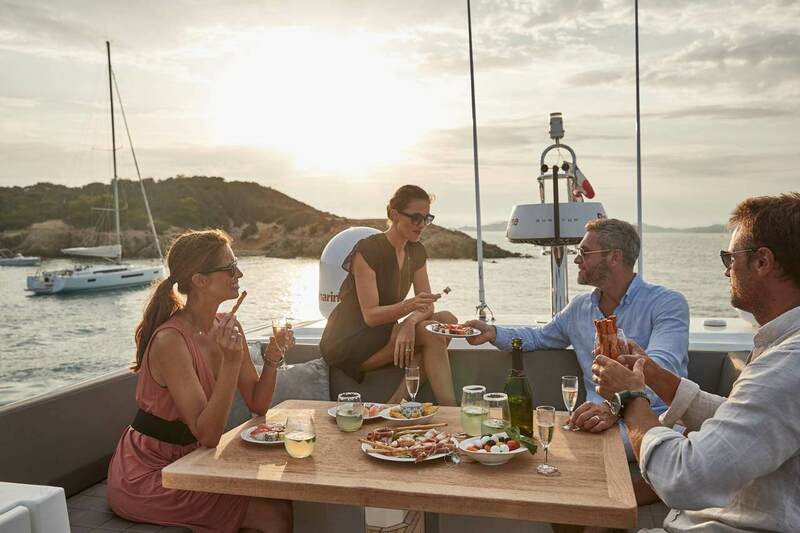 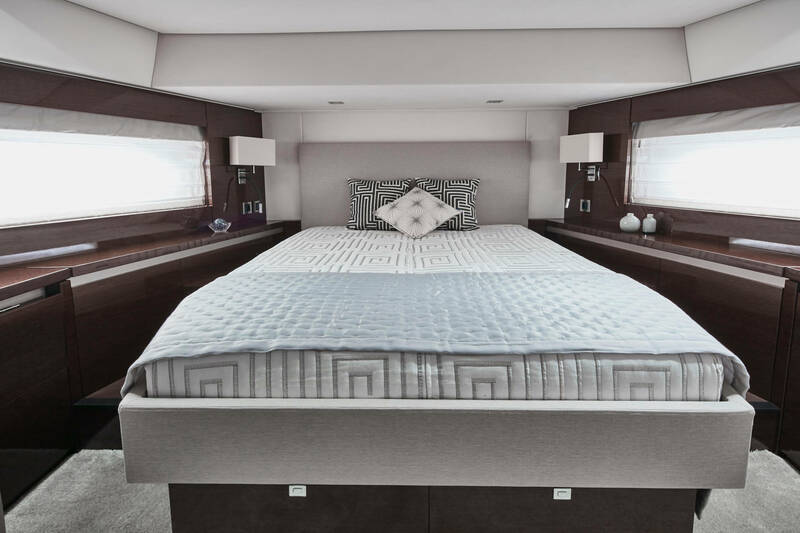 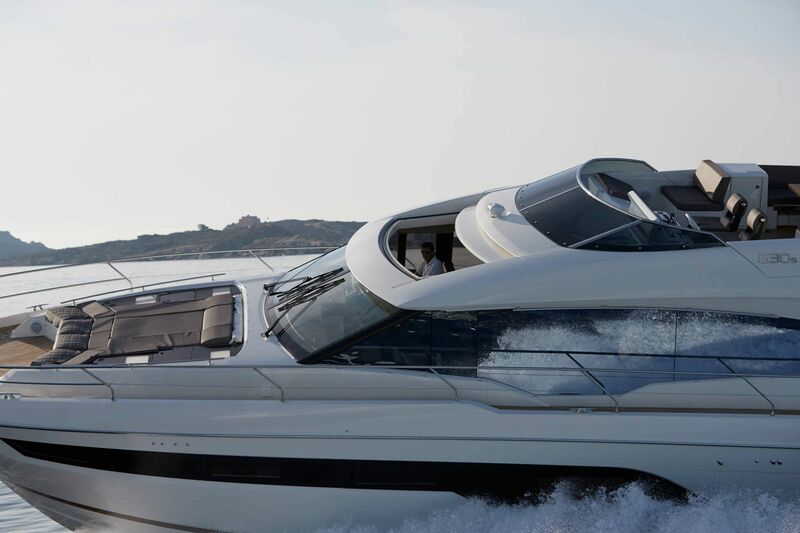 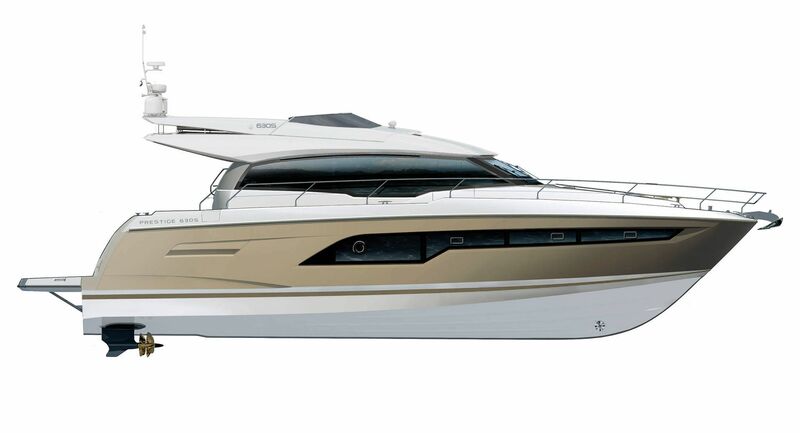 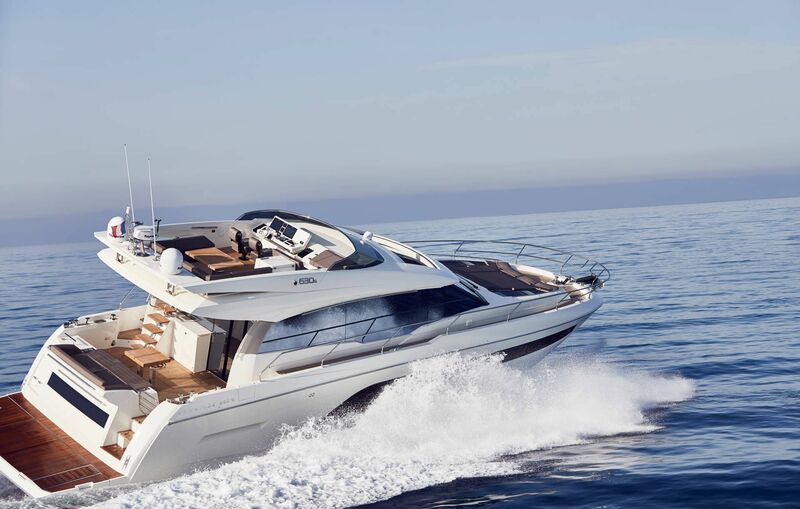 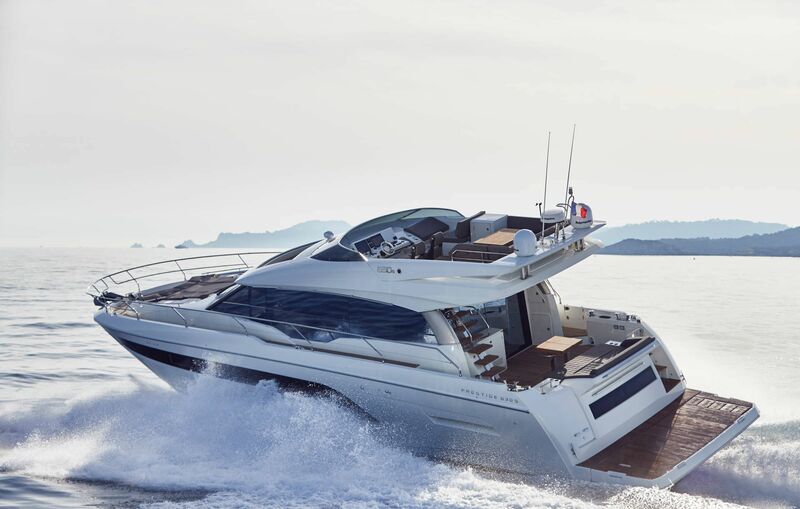 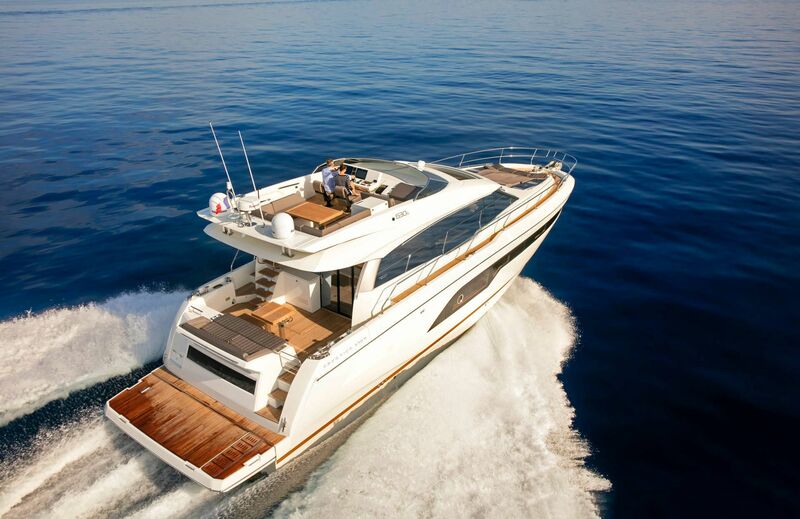 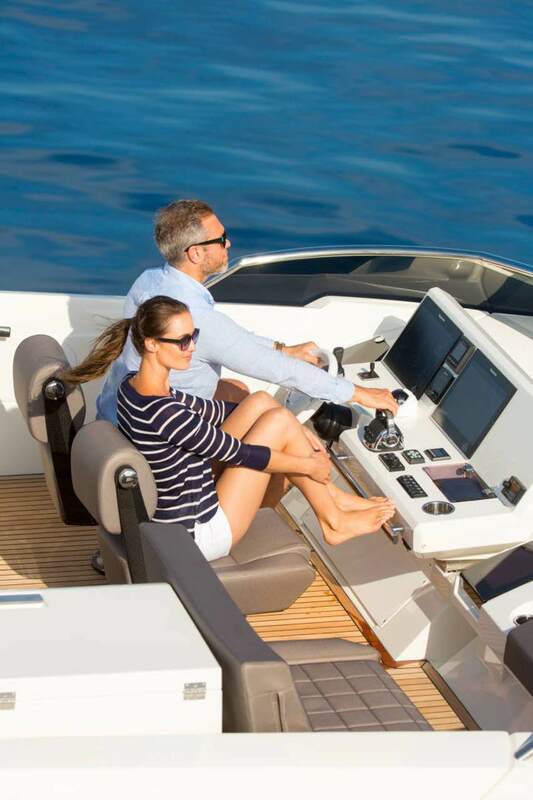 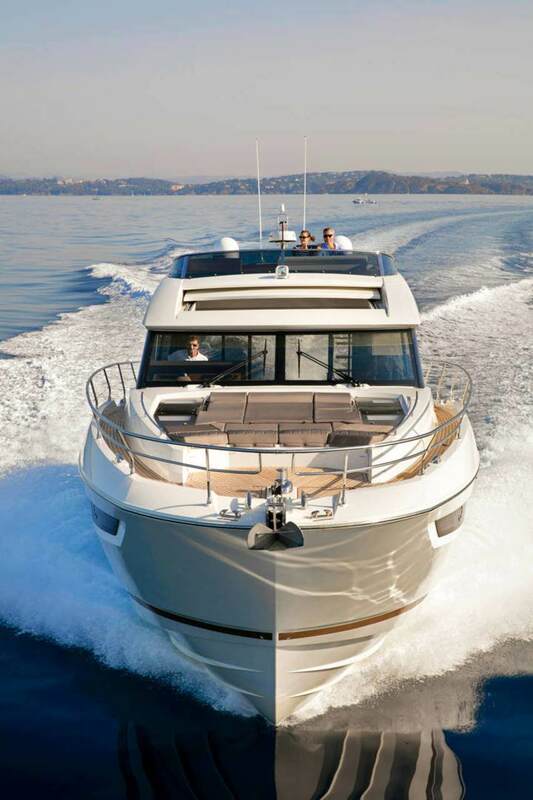 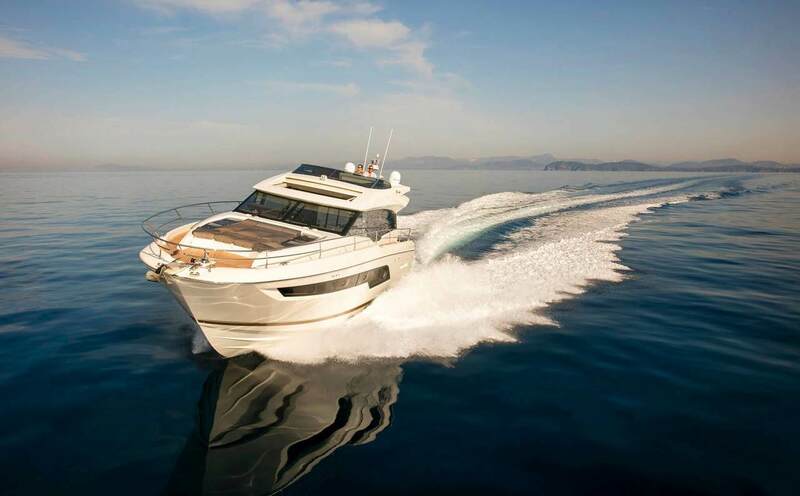 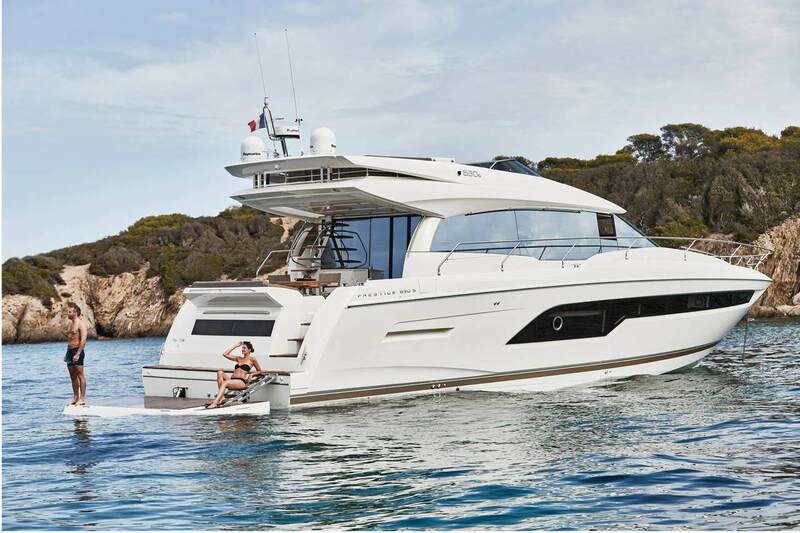 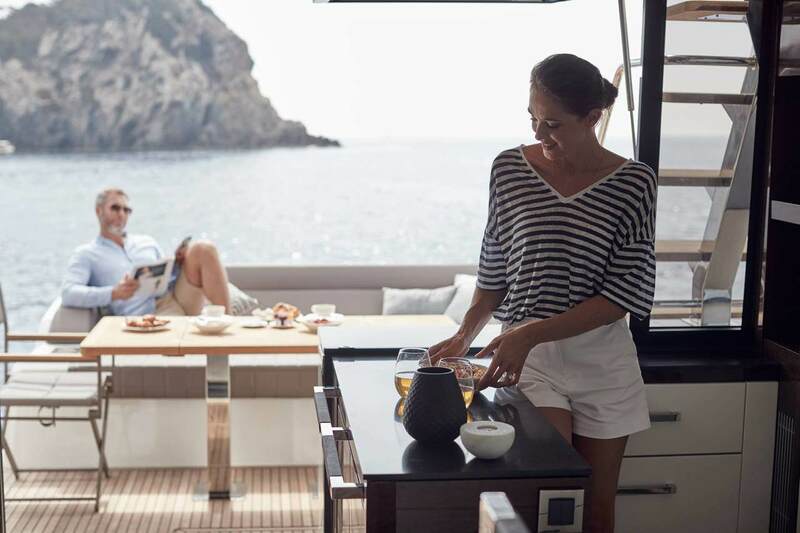 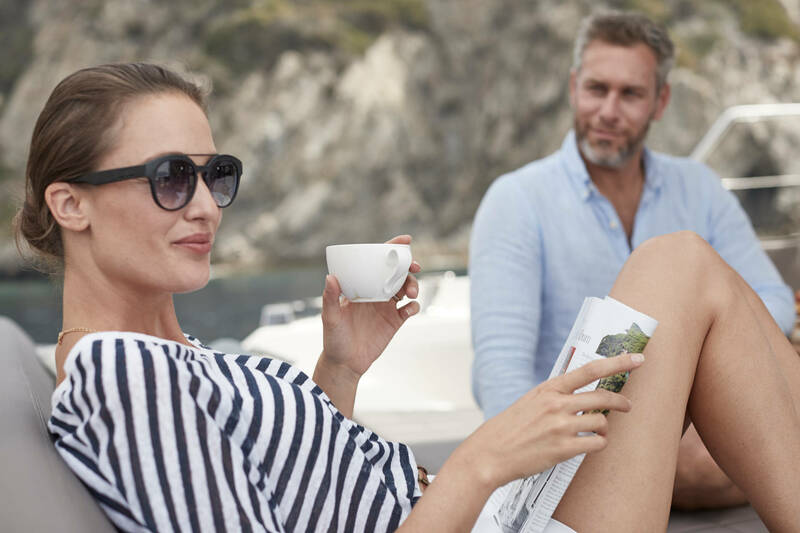 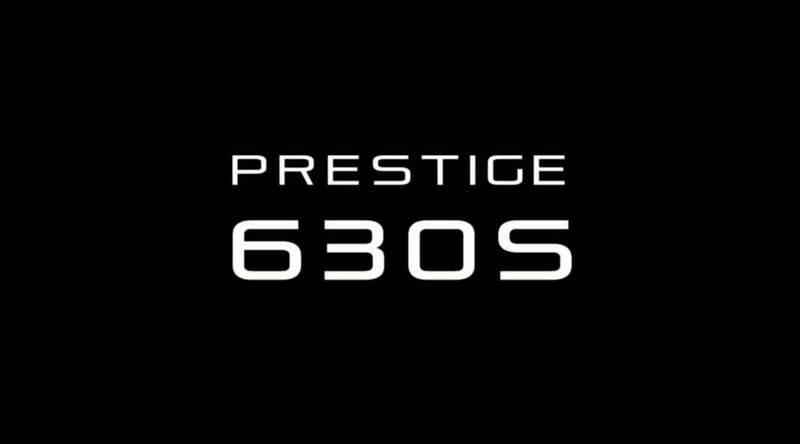 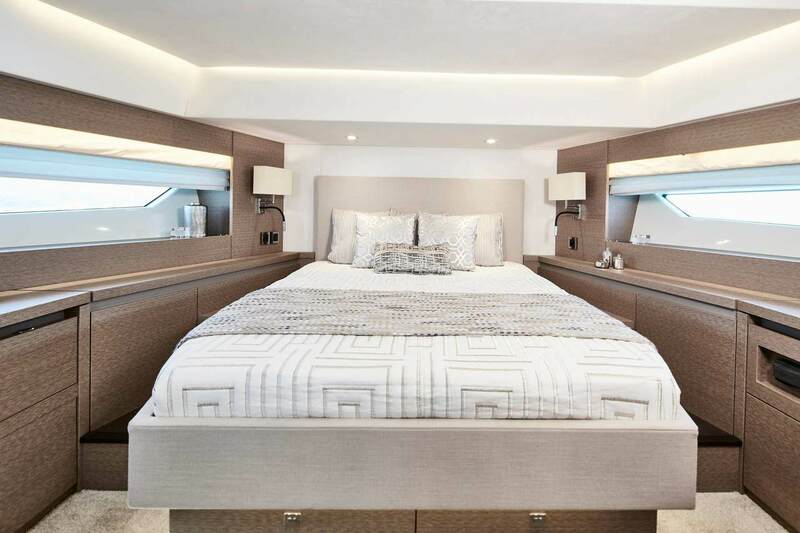 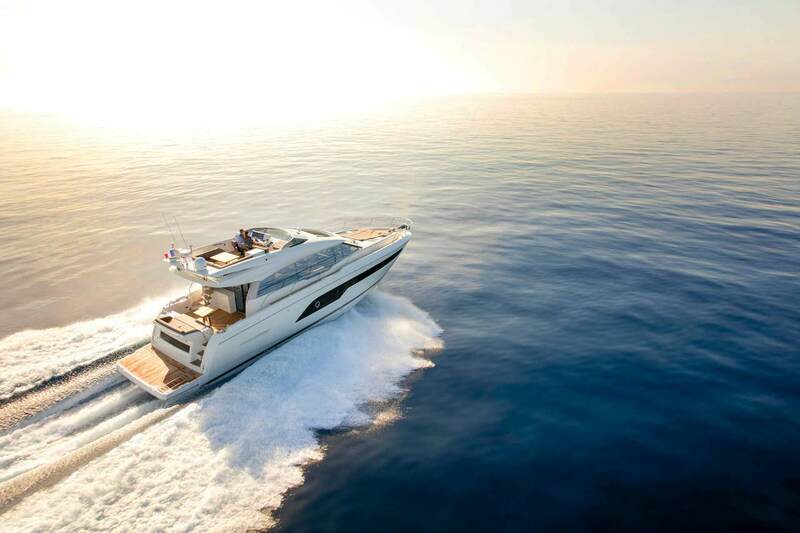 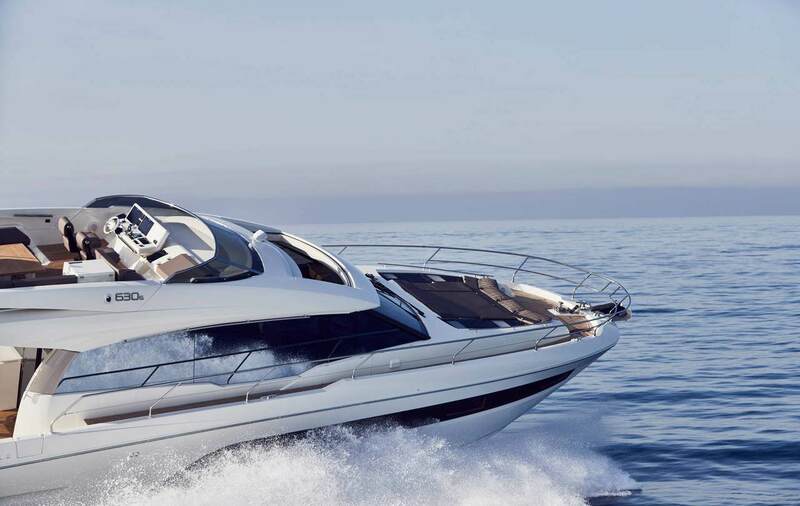 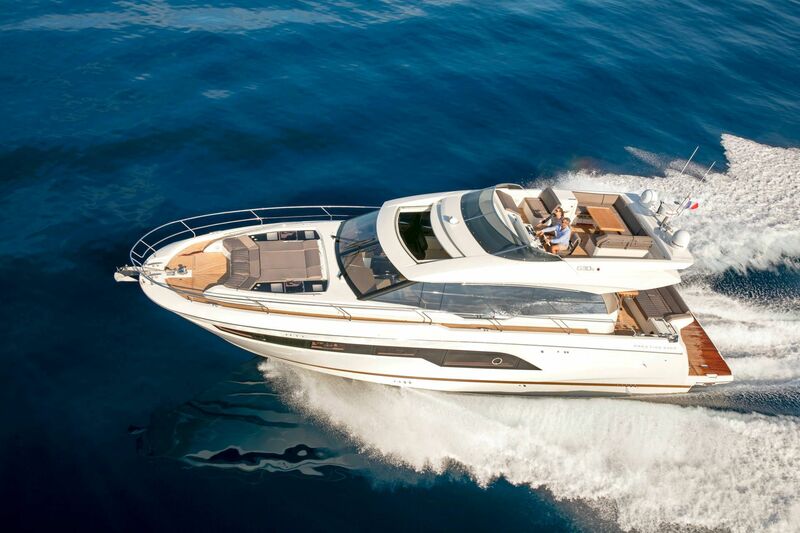 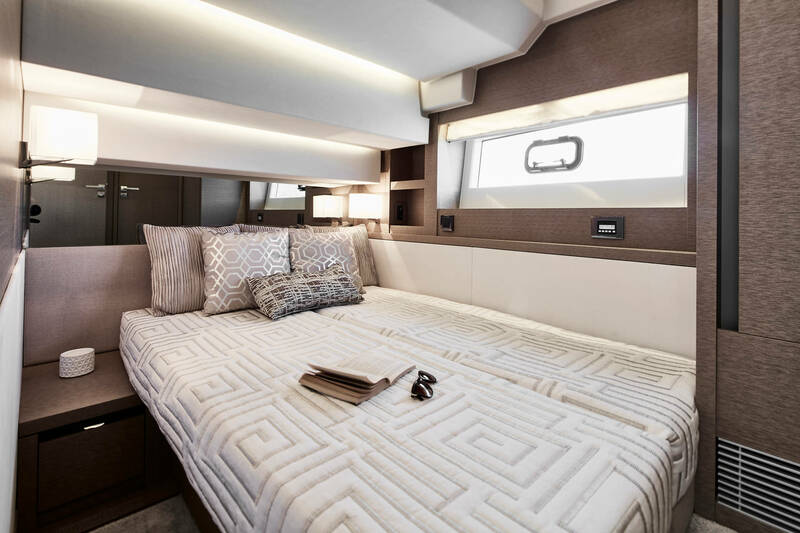 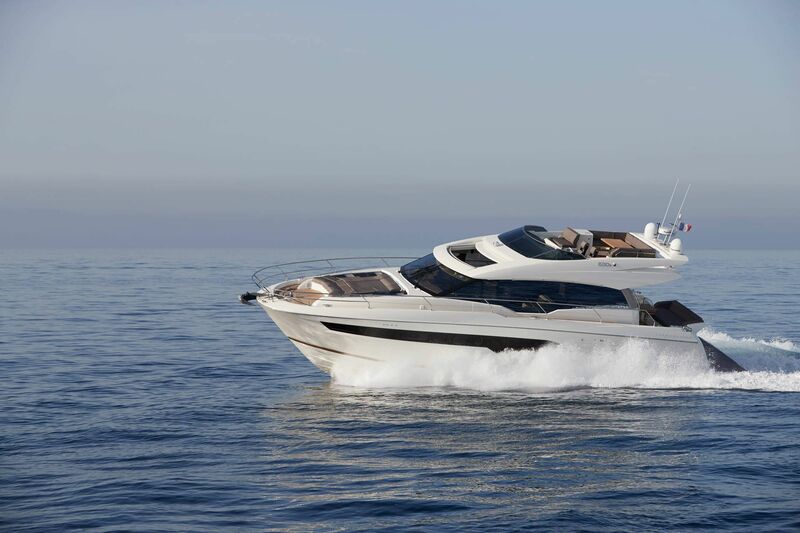 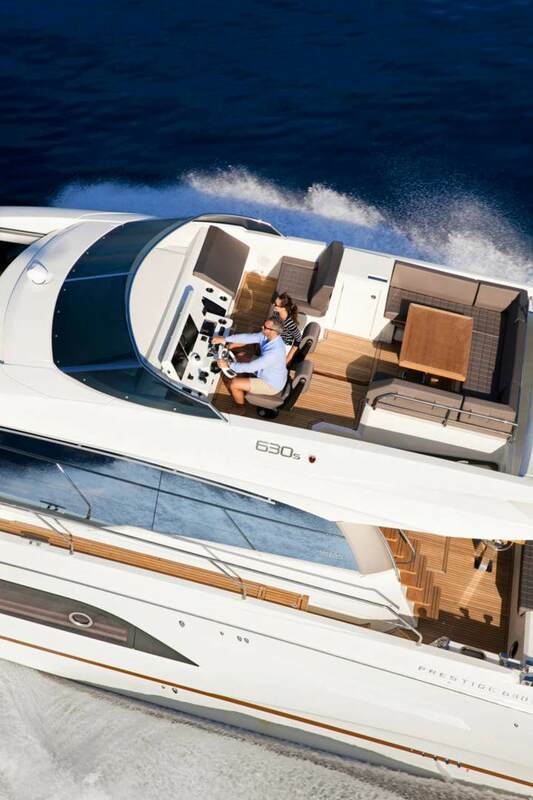 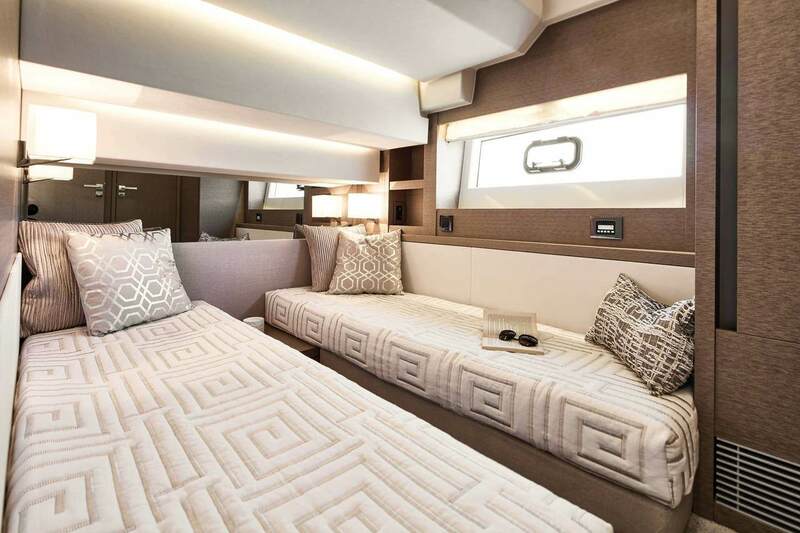 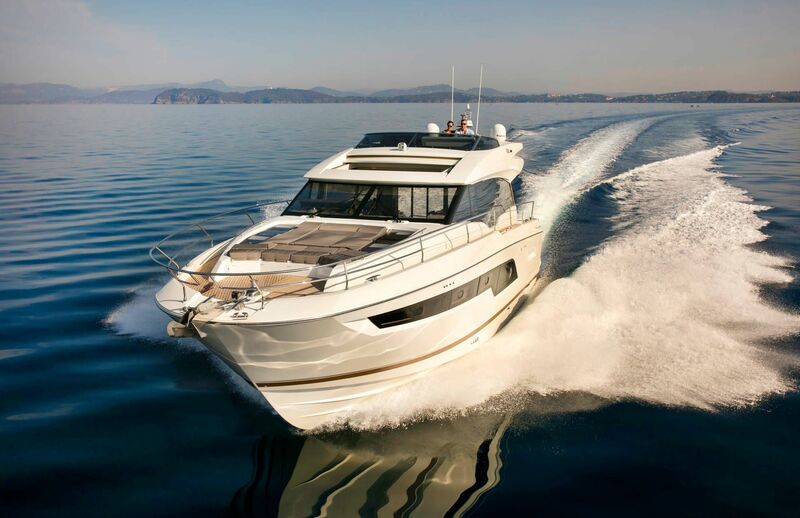 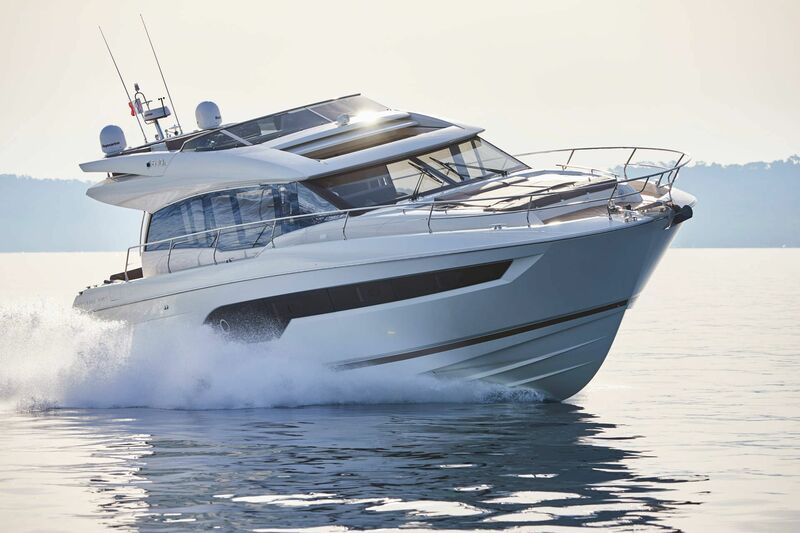 Adopting the spirit of the SportYachts, the PRESTIGE 630 S offers a Sport Flybridge. 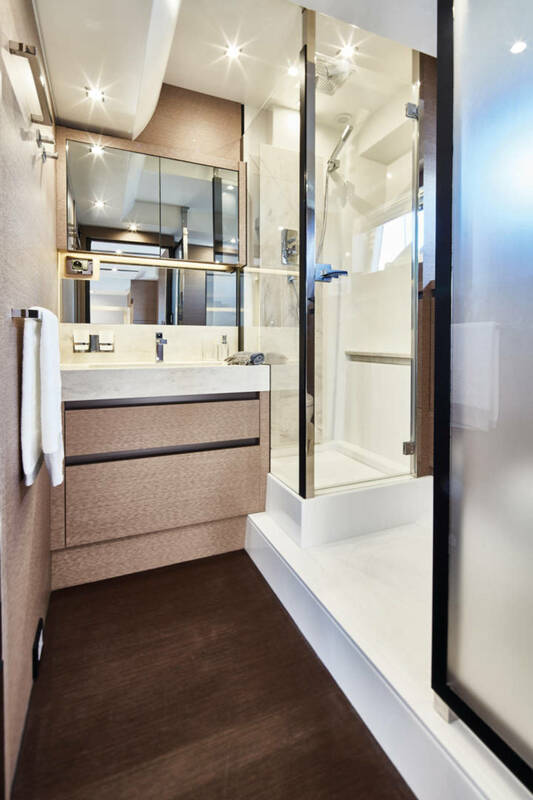 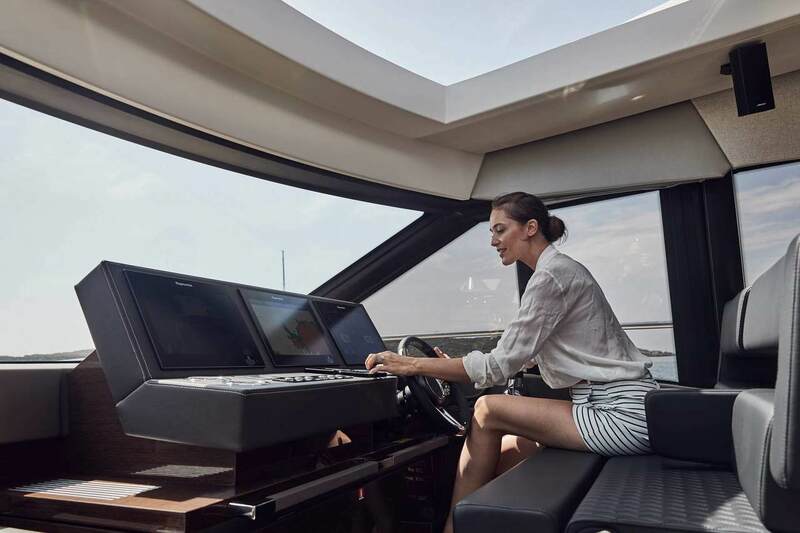 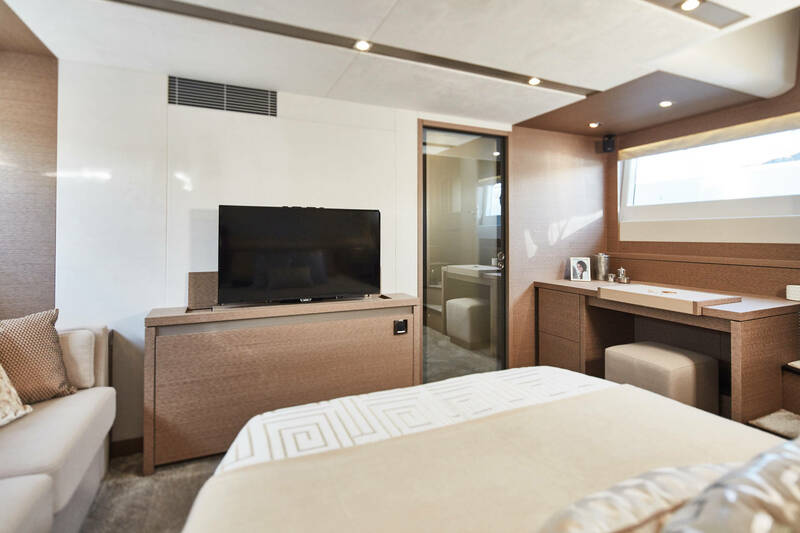 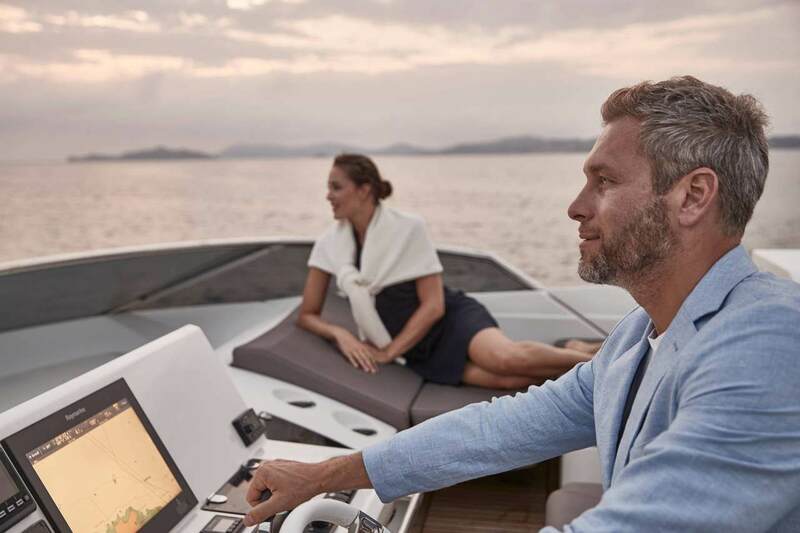 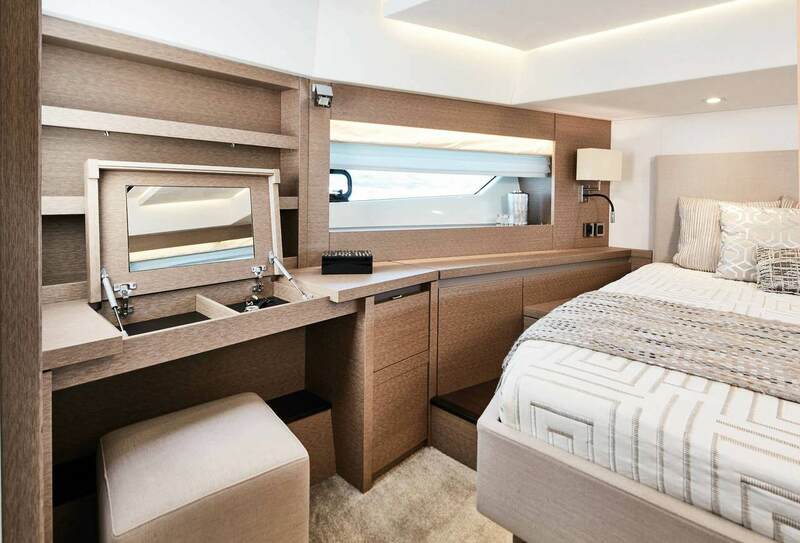 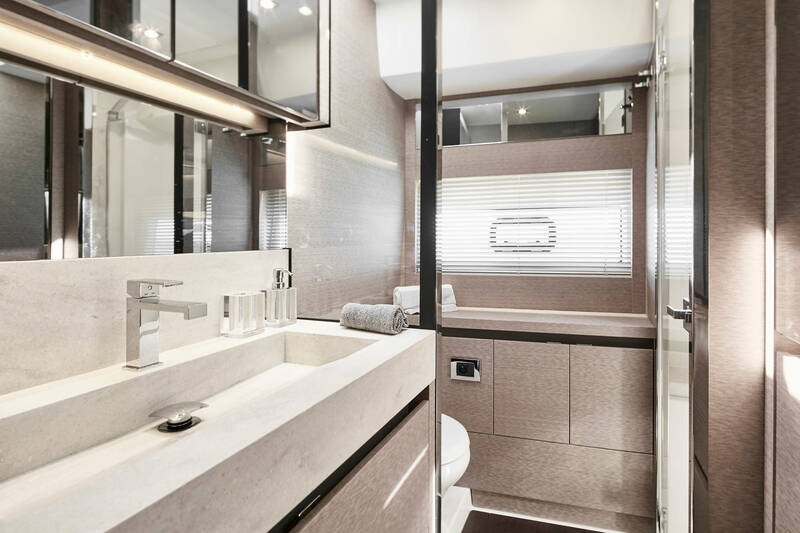 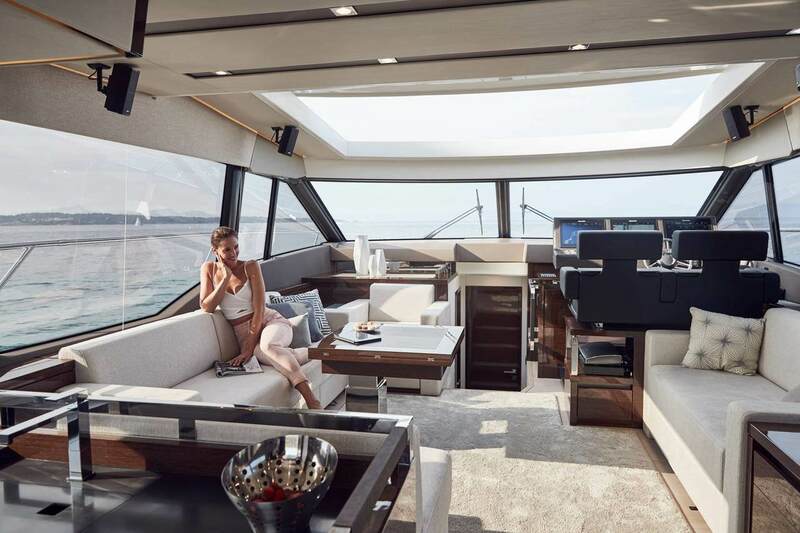 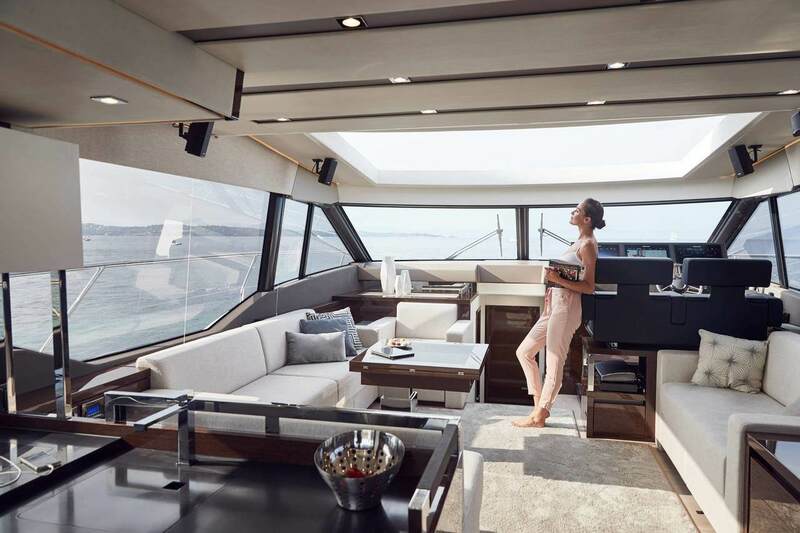 The SportYacht concept benefits from a large sliding glass sunroof, which opens over the saloon to transform the interior space in an instant. 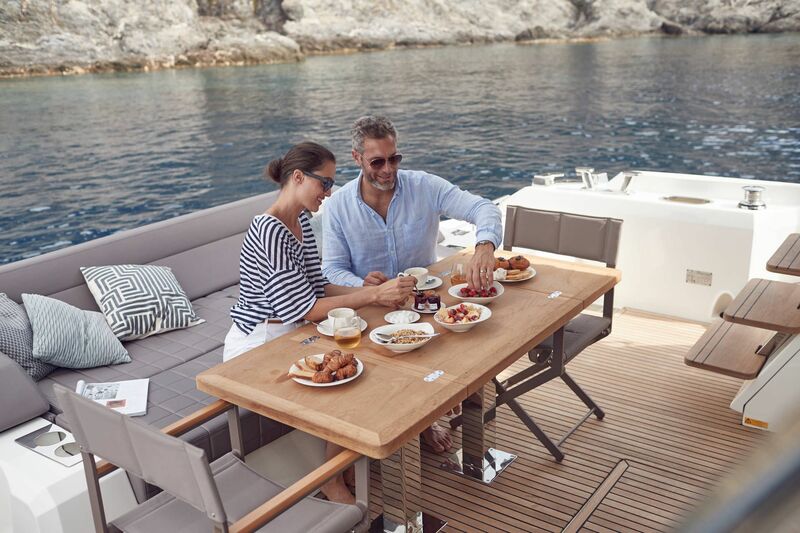 Let the outside in! 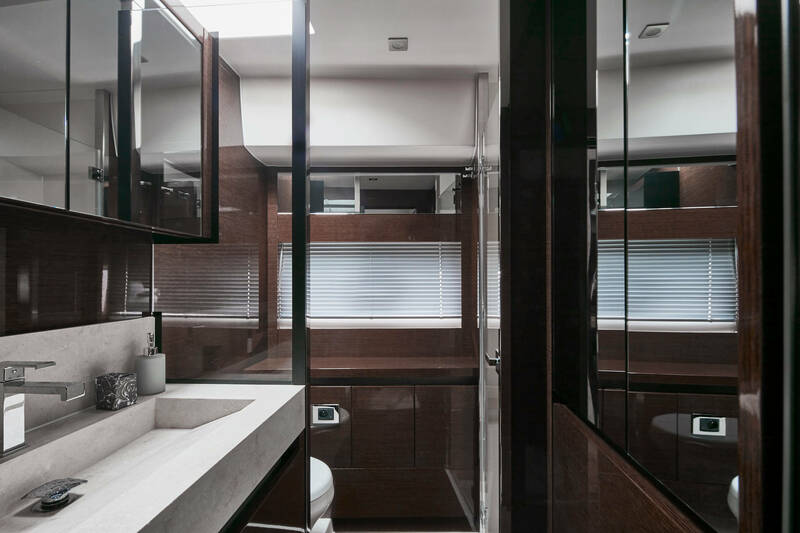 Large windows afford intense natural light on the interior and offer an incomparable panoramic view. 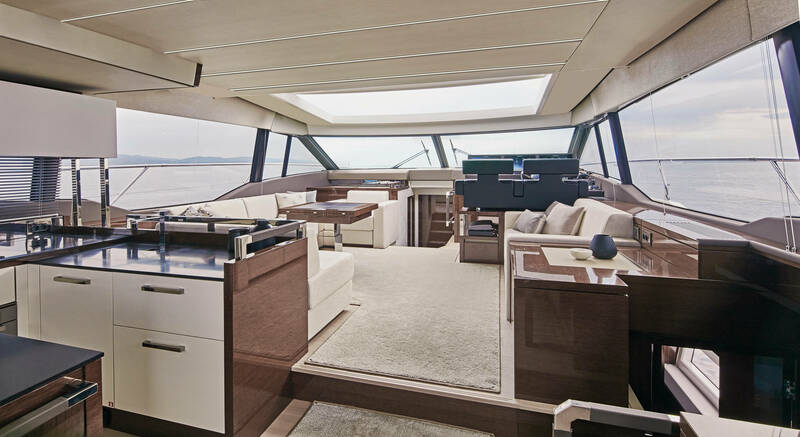 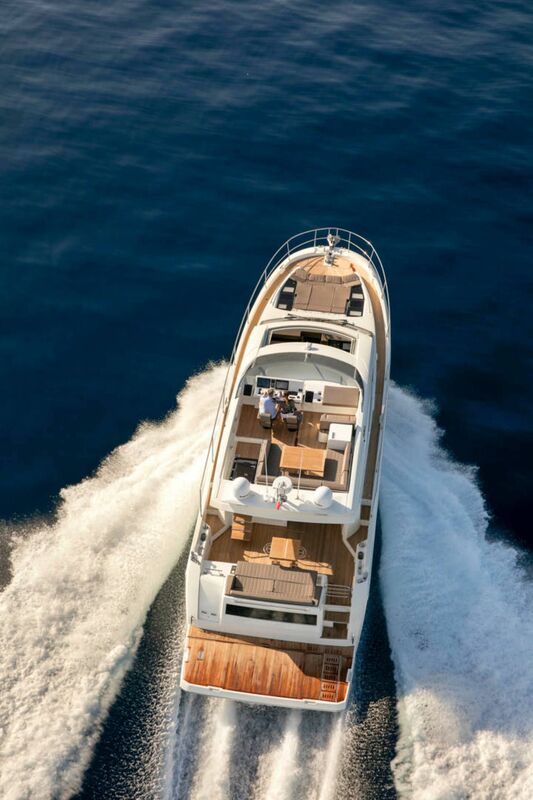 The saloon, which features a luxurious integrated dining table, offers the refinement of a 360º view of the sea. 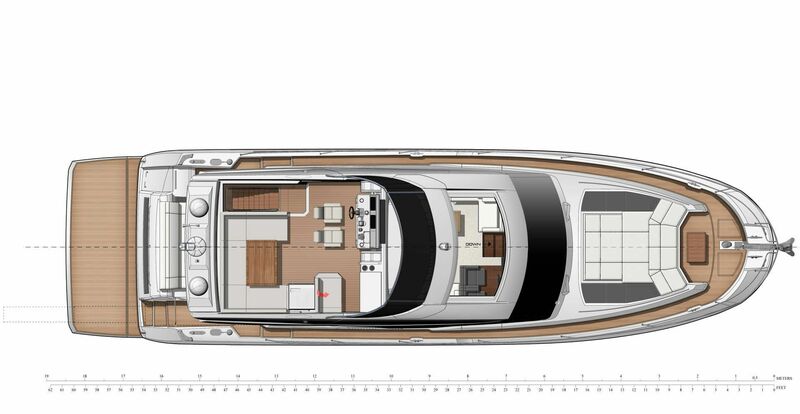 Length over all 19.02 m / 62'5"
Hull length 16.83 m / 55'3"
Hull beam 5.15 m / 16'11"
Draft 1.5 m / 4'11"